Enjoy the top 21 famous quotes, sayings and quotations by Randy Couture. I definitely see myself continuing to transition into more acting roles. I'll always be a coach. I'm always going to have a training center, always going to work with guys that are looking for some input and want help. I love commentating, and that's something I can always go back to and enjoy doing. A lot of these guys in 'Fight Master' will compete in Bellator and in mixed mart arts for quite some time. You have to find ways to relate to the characters you get to play. Put it in terms and in a context that speaks to you. You have to be true to yourself and remain humble. Whether you win or lose, you've got to treat everyone the same, and be who you are. I picture success and winning. The body has a physical response to mental images of winning. 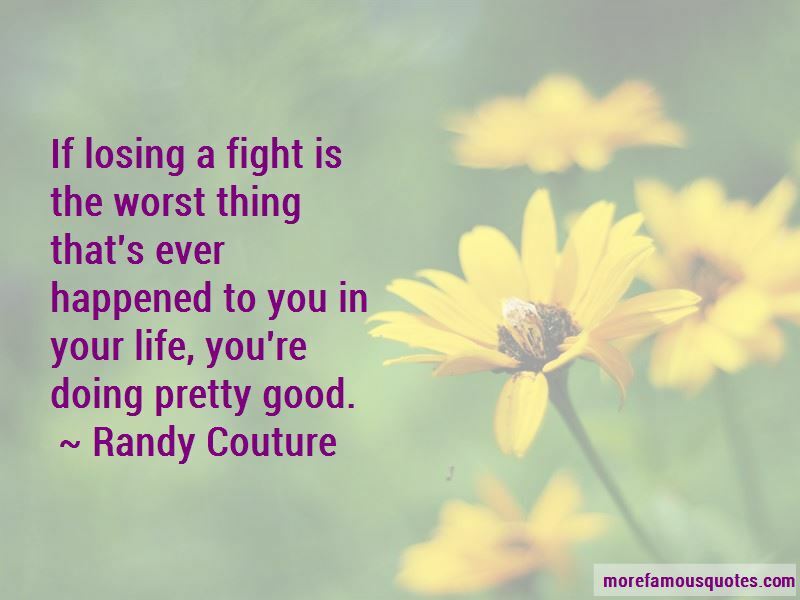 Want to see more pictures of Randy Couture quotes? 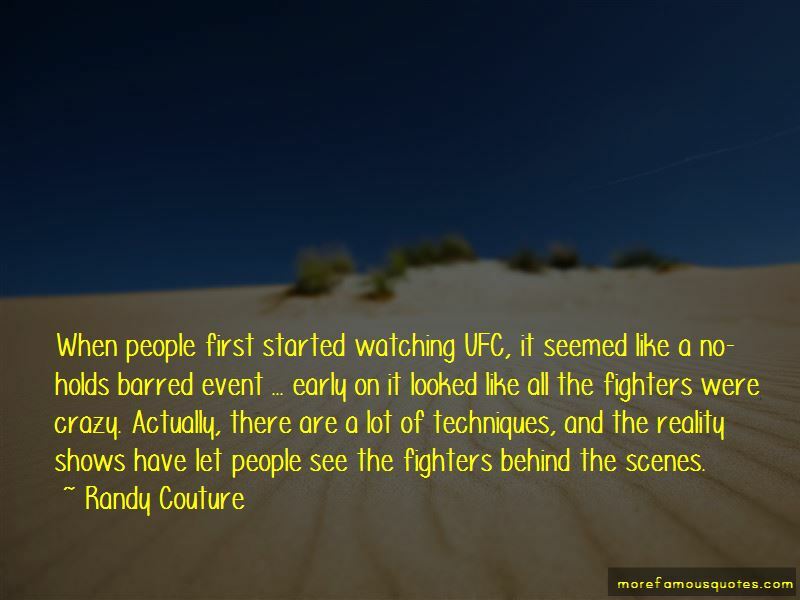 Click on image of Randy Couture quotes to view full size.